Captivating 2 Bedroom, 1 bath 2 Story Twin Home that features a spacious Living Room, separate Dining Room, Den/Family Room with glass side door leading out to back patio. Wood look laminate floors in all of the lower level rooms. The Kitchen includes a Breakfast Bar, Electric Self-Clean Gas Range, Refrigerator, Microwave, Dishwasher, Disposal, and ceramic tile floor. Remodeled Powder Room with replaced fixtures, vanity, and has a ceramic tile floor. The Master Bedroom has 2 closets. The main Bath has an updated fiberglass surround bathtub. Other accommodating items in the home are Ceiling Fans in almost all of the rooms including the Garage, custom window treatments, beautiful upgraded lightly stained raised panel wood doors throughout the home, replaced hot water heater, newer 2 year heater, Laundry Room with a shelf and a Front Load Whirlpool Washer and Dryer. 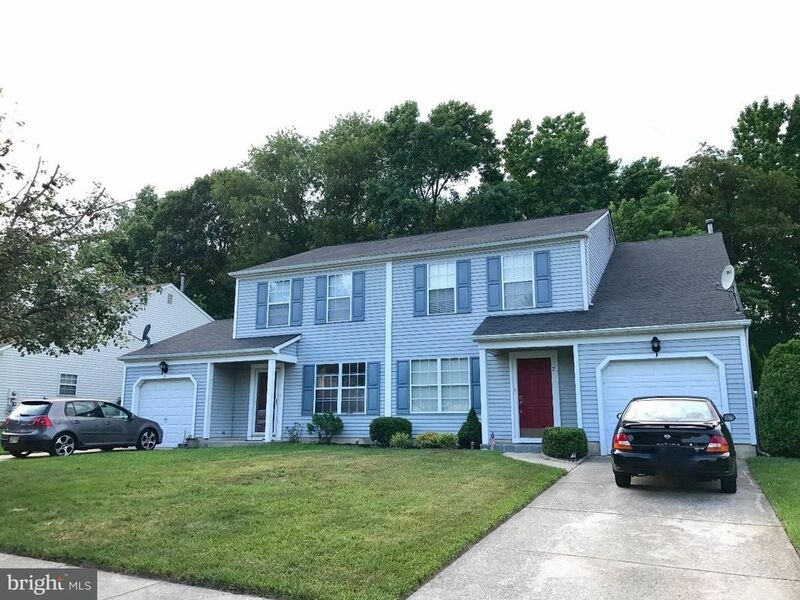 The property is located close to shopping and is just a little over a mile from Rt 42 and is close to the Atlantic City expressway and Philadelphia. The home also has exterior solar lighting, fenced back, a shed with electric, 1 car Garage, 6 zoned in-ground irrigation/ sprinkler system, neutral paint, d cor and more!